BMSA is hosting its first event of the academic year this coming Tuesday evening. 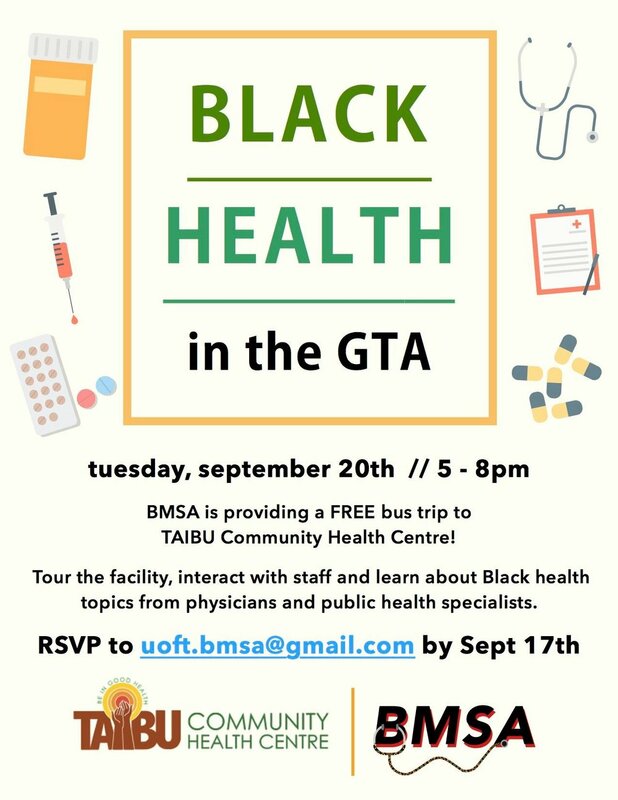 BMSA is providing a free bus trip to TAIBU Community Health Centre on September 20th from 5:00pm-8:00pm TAIBU is the only health centre in Ontario with a mission to primarily focus on the Black community’s health needs. In TAIBU, students will get the opportunity to tour the facility, interact with staff physicians as well as medical students and hear from public health specialists about the social determinants that impact the Black community in the GTA. Dinner will also be provided on this trip. Please send a quick email to uoft.bmsa@gmail.com and RSVP soon.